Cruise Day 1: Venice, Italy (Sunday: July 7 / Embark 11:00pm) Venice is one of the most popular tourist destinations in Italy. This wonderful city is built on water and is well-known for its delectable food and marvelous architecture. Don’t miss out on the opportunity to visit Venice on your next European tour. If you’re looking for a place of perfect serenity, you will surely enjoy a visit in Split – a coastal city in the region of Dalmatia in Croatia. At a bird’s eye angle, Split is basically an image out of a postcard with its wonderful beach, complex maze of narrow alley roads, and vibrant colors of the Old Town. Half an hour from Split is the town of Trogir. Trogir is one of the best-preserved medieval towns in Europe as recognized by the UNESCO World Heritage List. Its shores are almost always lined with sailboats. This charming seaside port is truly a sight to see. Included Shore Excursion: Split and Trogir Tour – On our guided tour, know the rich history of Split and Trogir from how it was built during the ancient Roman Empire to what made the cities the way they are today. Take your cameras with you as we stroll along th e streets to Central Dalmatia where the infamous Cathedral and Bell tower of St. Domnius is located. Then we proceed to the beautifully antiquated town of Trogir where we will explore a mosaic of monuments that date from ancient Greek to the Middle Ages. Get the chance to see the Cathedral of St. Lawrence which is deemed to be one of Croatia’s finest architectural design. The tour continues in Dubrovnik which is dubbed by the poet Lord Byron as “the Pearl of the Adriatic”. Walk on marble streets ruled by centuries-old buildings topped with radiant orange roofs. Check out the lovely Dubrovnik beach entrenched between rocky ledges. It is the perfect venue for romantic travels and family excursions. Experience more of Dubrovnik on a cruise to Europe! Included Shore Excursion – Dubrovnik City Tour (8 hours) – On this tour, we will be joined by our local guide to lead us to the best spots in Dubrovnik. Gain knowle dge of its history and take in the beautiful scenery as you go on a panoramic drive through the city. 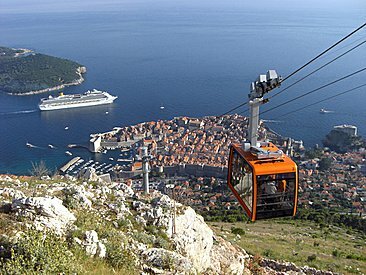 Catch the best view from the top of the Srd Hill or from the Dubrovnik Cable Car. Visit the historic old pharmacy and the small museum with a collection of antique paintings, well-preserved relics, and vintage jewelry. 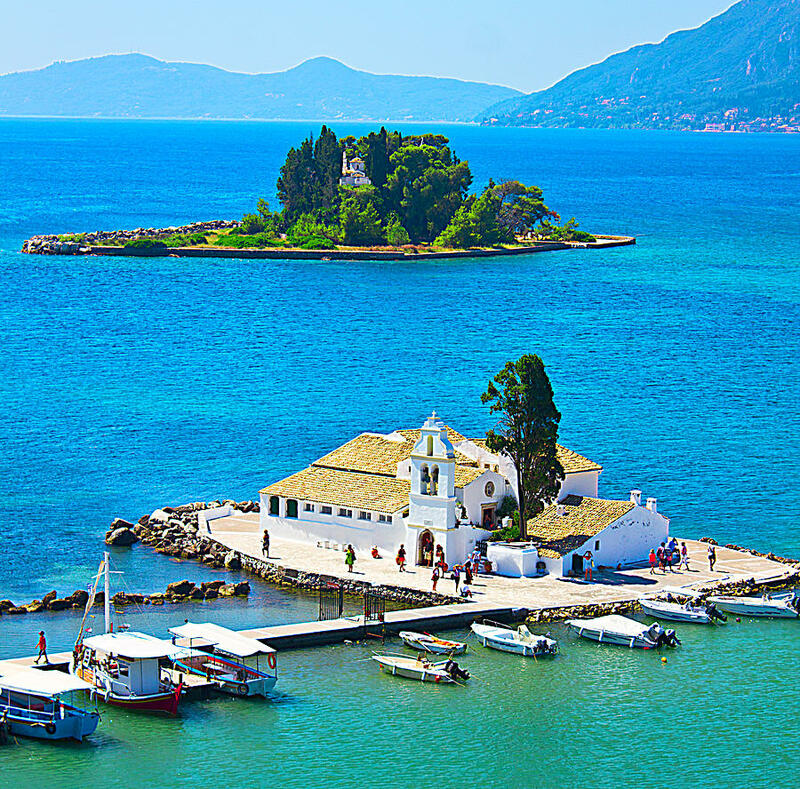 Corfu, an island in the Ionian Sea, is widely recognized as a luxury holiday destination. More than that, it is defined by its rich mix of cultural heritage as a result of years spent under the rule of Italy, France, and Great Britain. This town is lined by two magnificent Venetian fortresses, winding medieval roads, and a French-style arcade. It is also where you can find the grand Palace of St. Michael and St. George. Included Shore Excursion: Corfu Island Tour – The Corfu Island tour starts with a short drive through the Corfiot countryside. This will take us to the village of Gasto uri to the Achilleion Palace. We then proceed to one of the highlights of today’s tour – a visit to the Bay of Paleokastritsa, also known as the “Capri of Greece”. Next stop is the Byzantine Monastery of the Virgin which is home to a community of monks. There you will find a museum of valuable Byzantine icons and church relics. For the next part of the tour, we will drive to Corfu Town popularly known for the Royal Palace of St. George and St. Michael. It is also the site for the breathtaking arcades of the Liston Piazza and the down-sized replica of the Rue de Rivoli of Paris. Before going back to the ship, grab the chance to do some souvenir shopping at the old flea market or at the shopping district. Santorini is one of the most widely photographed places in the world thanks to its heaven-like whitewashed villages situated along the sea cliffs. Some people even think that it is the lost City of Atlantis. A volcanic eruption in the 16th century is what shaped its craggy landscape and rocky beaches. Santorini Bay. 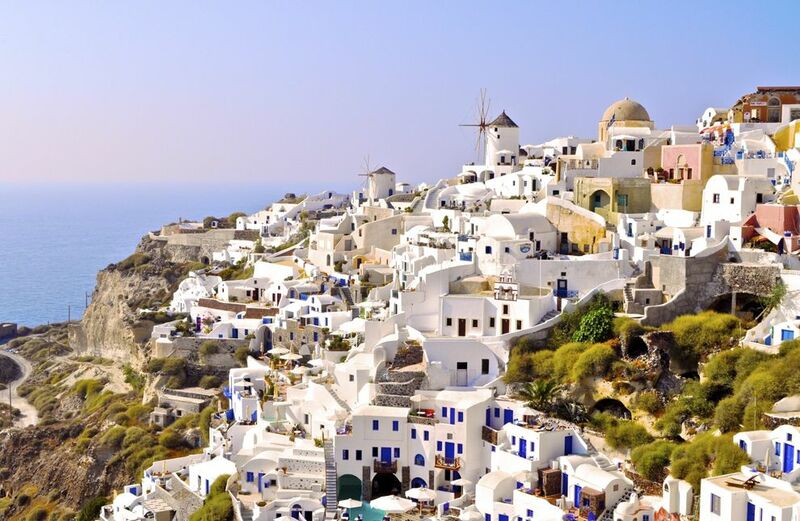 You will travel across the rich, volcanic countryside to visit the beautiful village of Oia. Located at the top of a cliff at the northern most point of the island, this location provides the ideal angle for tourists to see the panoramic view of the island and take photos. There you will see islets surrounded by blue, sparkling waters and steep, plummeting cliffs. Explore the shops, cafes, and domed churches as you walk along the twisting cobblestone alleyways. 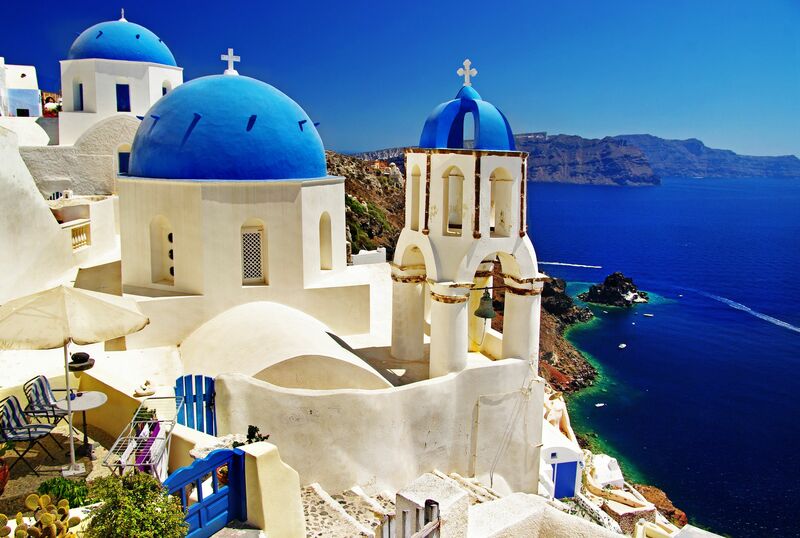 You will get the chance to catch sight of the Cycladic architecture and art galleries Oia is popular for. For our next destination, we will proceed to the famous Acrotiri’s archaeological site. Finally, we end our tour at the village of Fira where you will have the option of going back to the ship or staying in town to wander independently and do some shopping. Athens – the oldest city in Europe where civilization began. 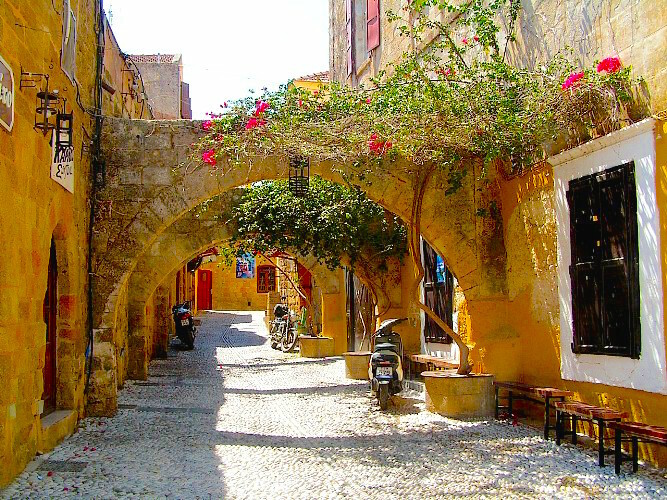 Most people know this city as home to the Acropolis and all the amazing architecture. It is also a center for the flourishing arts and culture scene. Athens is also a place where you can indulge in Mediterranean cuisine. Experience more of this city on our European cruise! Included Shore Excursion – Acropolis and Plaka Tour – Explore the magic of Athens! Revel in its beautiful architecture, experience the people and its culture, and get to know its history and mythology. On this shore excursion, you will get to see all the popular tourist spots of the city. We will visit the Greek Parliament, the Tomb of the Unknown Soldier, and the presidential guards who protect it. As we walk through the old streets of Plake, you will have the opportunity to get lunch and buy souvenirs from the local shops. After which get ready to continue the tour to the Acropolis of Athens. 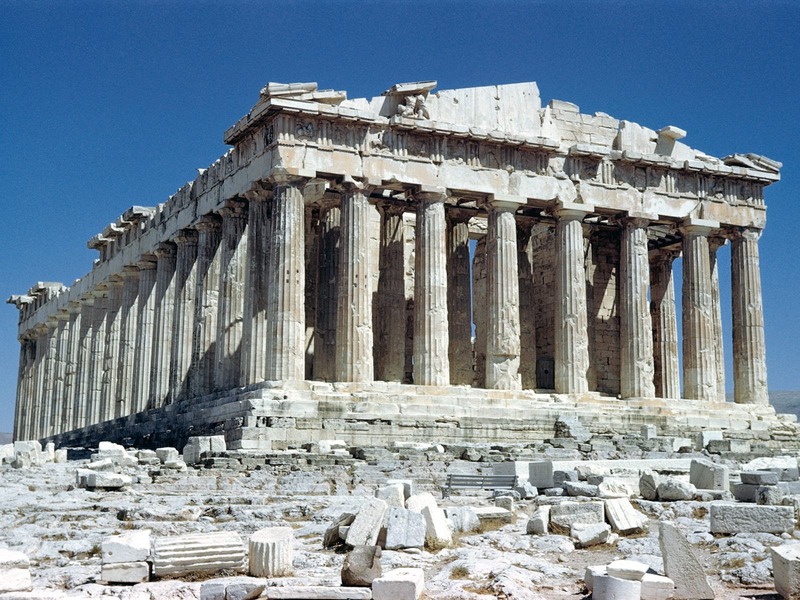 This UNESCO World Heritage site is home to the Temple of Athena Nike, Propylaea Gateway, and the Parthenon. Take as many pictures as you want and listen to our guide talk about the story behind each ruin. Cruise Day 7: Rhodes, Greece (Saturday: July 13 / 10:00am to 6:00pm) Rhodes is most popular for its beaches and ancient ruins from when it was occupied by the Knights of St. John during the Crusades. Get a feel of what it’s like to have existed during the medieval times as you walk the Street of Knights and explore the Palace of Grand Masters which has been turned into a museum. Included Shore Excursions: Old Town Walking Tour – The tour starts at the medieval castle where you will bear witness of the town’s sophisticated architecture. 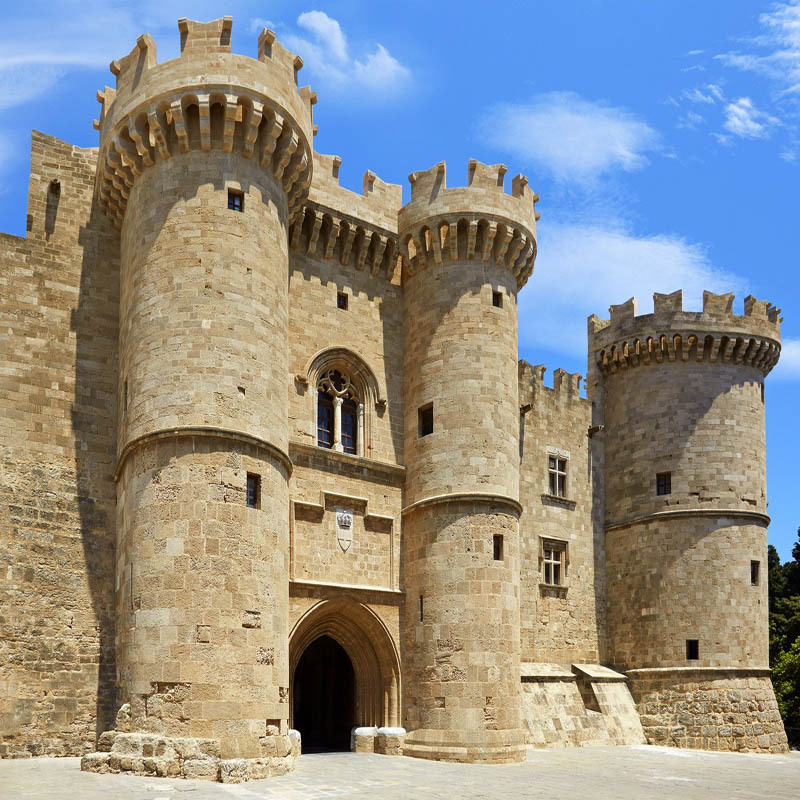 Discover the rich history of Rhodes and hear about the medieval legends surrounding its walls. Take a walk through history as we visit the Jewish Quarter, Ippokratous Square, famous Street of the Knights, Grand Master Palace, Archaeological Museum and Fortifications of the Palace. In the Aegean Sea lies the Island of Mykonos. It is popular among the tourists for its party beaches which often accommodate a large gathering of people coming for summer festivities. Beaches such as Paradise and Super Paradise have bars that blast music all night long. These dance clubs are run by celebrity DJs and remain full of life until sunrise. 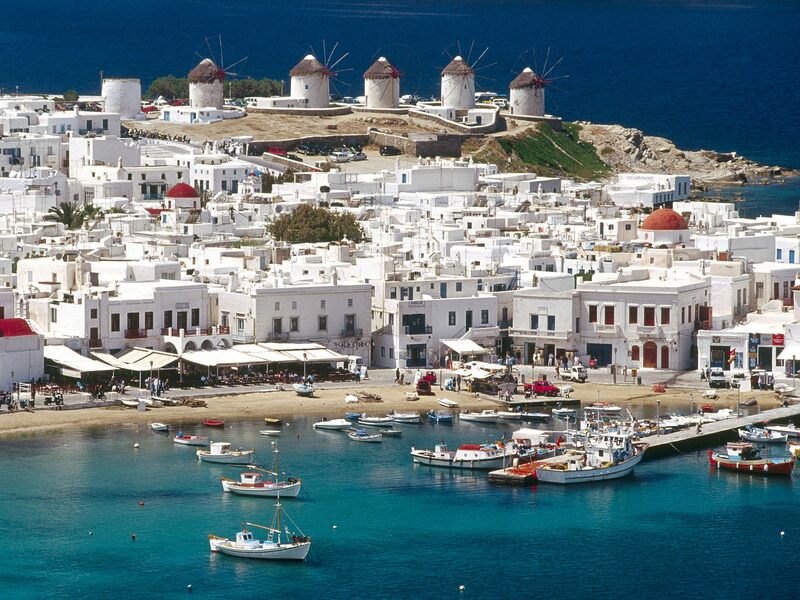 Other than that, Mykonos is the location of the iconic 16th-century windmills built on a hill right above town. 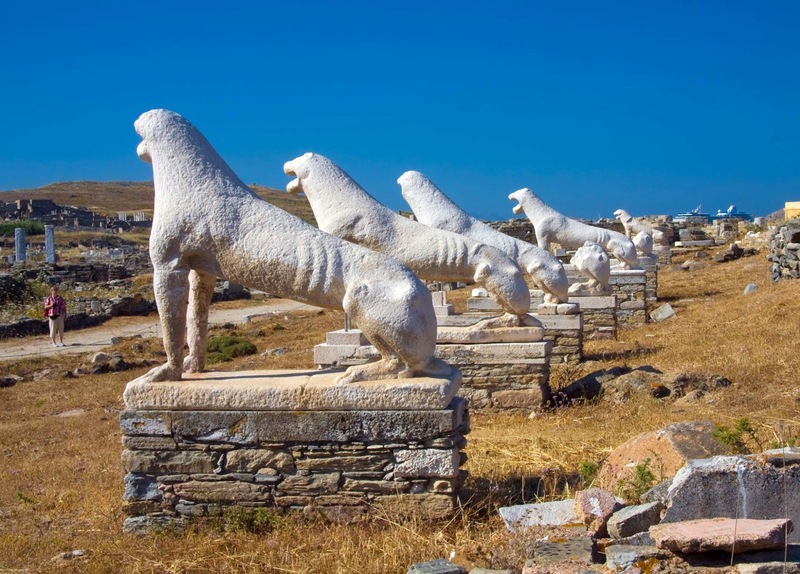 Included Shore Excursion: Mykonos Town and Delos Tour -The tour begins as we go on board the local ferry to Delos. Delos is a small unpopulated island which was once the religious center of the Aege an. It is also the birthplace of Apollo. More of these fun trivia will be discussed by our local guide as you go along the tour. Argostoli is the capital of Kefalonia, an island in the Ionian Sea marked by sandy coves and dry rugged landscapes. This popular tourist destination is guarded by mountains and forests. It is also blessed with the finest white-sand beaches and the beauty of limestone cliffs. Argostoli was once home to the most picturesque Venetian buildings until it was struck with a big earthquake in 1953. 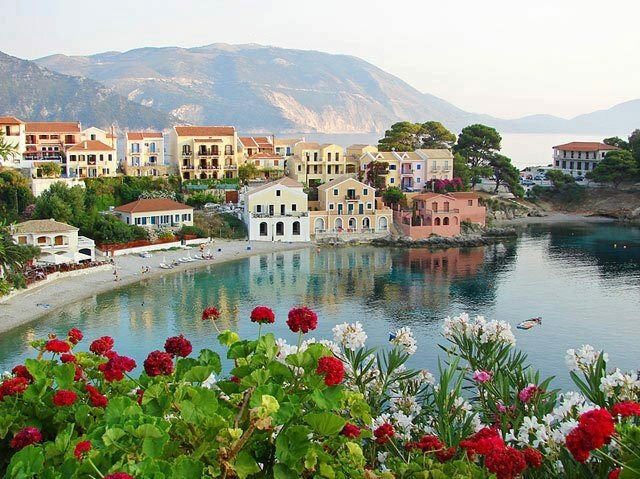 Included Shore Excursion: Kefalonia Island Tour – Our day begins with a very scenic coastal drive. We will get to see the island’s villages, wine yards, olive trees, and incredible thick cypress glades to the Agios Gerasimos Nunnery. The monastery is surrounded by the Omala valley where the 40 wells of St Gerasimo are located. We then make our way to Samia, a beautiful coastal town with wide paved streets and Venetian buildings that reflects the colorful heritage of the island. Take some pictures for the gram as we stop above Myrtos beach for a quick photo-op. For our last destination, we will go visit Assos. You will be given the opportunity to enjoy a walk along the coastline as well as do some souvenir shopping. esort St. Stefan which was once a small fishing village. Then we proceed to visit the ancient town of Budva. Bear witness of its towering forts, gates, and walls. Learn about the history of Kotor as we go along our tour. Get to visit the numerous stone churches including the Kotor Cathedral also known as the Cathedral of St. Tryphon built in 1166. Admire the palaces built by the prominent families of the city’s past. Venice is the capital of the region Veneto in northern Italy. This city is built on over 100 tiny islands in a lagoon in the Adriatic Sea. People go around the city through water canals lined with Renaissance palaces and Gothic architecture. Find the St. Mark’s Basilica and the Campanile Bell Tower at the Piazza San Marco which is the city’s principal public square. Included Shore Excursion: Venice Walking Tour – What makes Venice different from all the other cities is the fact that it has over 400 bridges and 150 canals. Get the most out of your visit by joining us on a walking tour through the traffic-free streets of Venice where you will see churches, palaces, and shops. Our walking tour will cover the route of where all the important monuments stand, from the San M arco Square to the Rialto Bridge. Get to know more about the city’s famous landmarks from the Basilica’s Byzantine heritage to the adjoining prisons of the Doge’s Palace. Cruise Day 12: Venice, Italy (Thursday: July 18 / Disembark 6:00am) Today marks the end of the cruise. You will have a chance to say goodbye to the friends you have made on the cruise during breakfast, but you can disembark the ship anytime after 6:00 am. You may then make your way to the Venice airport (VCE) to catch your flight home. Safe skies everybody!